Some children get the message, "I am not capable, so why try?" Others learn, "Why bother to work hard or do something I don’t want to do if someone else will do it for me?" Therefore, children need to be encouraged to attempt tasks independently and offered only enough help (scaffolding) that they are not frustrated, are successful, and learn to take pride in their efforts and accomplishments. Perseverance should be modeled and supported, cheered on and verbally recognized for the incremental successes they make on the way towards mastering their goals. Giving children meaningful praise that helps them see that they are making progress, encourages their continued effort. Praise that relates directly to their efforts like, “You really worked hard to clean your room; you should be very proud of yourself.” Or, “Wow, you almost got it that time, try it again!” points out the positive results of their efforts and bolsters confidence and self-esteem far more than generic comments like “Good job!” It also helps them develop a growth mindset. How children are praised can determine which mindset they develop. Praising children for their efforts and perseverance teaches them that effort is what leads to success and leads to an inclination to try new things. On the other hand, praising children for their ability, e.g., “You are so smart,” may have the opposite effect and inhibit them from attempting challenging tasks lest they fail and not be perceived as smart. Let us always think about the weight of our words and our actions, as the mindset our children develop largely depends on us. Learn more about how mindset affects success from the book "Mindset" by world-renowned Stanford University psychologist Carol Dweck. This is a post from the Head of The Experiential School of Tampa Bay, one of the best preschools in Pinellas County. 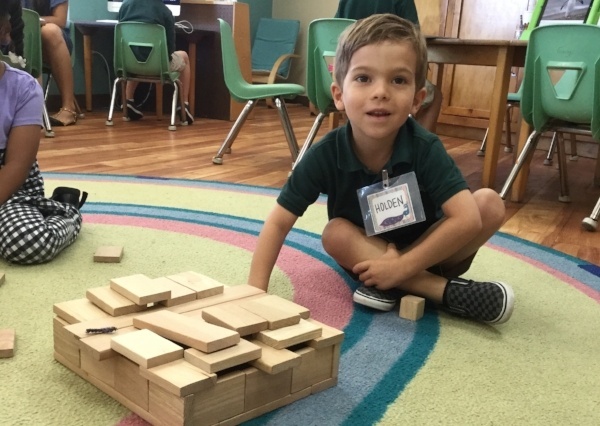 To learn more about the 3, 4, and 5-year-old program at Shorecrest, we invite you to schedule a personal tour.